Big Loud Records newcomer Jillian Jacqueline is dropping the needle on her career today (9/22), showcasing a bold, next-generation brand of Country with the release of her stunning debut EP, SIDE A.
Comprised of nine raw and confessional tracks penned alongside hitmakers like GRAMMY-winner Lori McKenna, Sarah Buxton, and Trent Dabbs, SIDE A introduces Jacqueline’s progressive but organic Country sound and sweet-heat vocals, as the Chester Springs, Pennsylvania, native opens up a musical diary of striking, no-holds-barred storytelling. Over the summer Jacqueline offered a sneak peak at the project by unleashing four razor-sharp tracks, all of which connected with Country fans right away. Her first release – the unflinching breakup anthem, “Reasons” – has already been streamed over 11 million times on Spotify alone, and each of the other three – “Hate Me,” “Bleachers,” and “God Bless This Mess” – have topped 1 million plays. Produced by Tofer Brown, SIDE A will include each of those standouts, plus two all-new tracks – the delicate opposites-attract ballad, “Sugar and Salt,” and a grooving haters-gonna-hate anthem called “Holier Than Thou.” In addition, never-before-heard acoustic versions of “Reasons,” “Hate Me,” and “God Bless This Mess” will also be included. SIDE A marks day one of this promising artist’s rise, but with a non-stop songwriting drive, it’s also just the tip of the creative iceberg. Jacqueline plans to follow up her striking debut with SIDE B in early 2018, with more information about that project coming in the near future. Meanwhile, the seasoned performer has spent this summer opening shows for Billy Currington and Dwight Yoakam, and will continue taking her music to fans around the world. Saturday ( 9/23) she’ll be onstage at the massive Pilgrimage Music and Arts Festival in Franklin, TN, and then heads overseas for a three-day tour of London, England. After returning stateside, she’ll close out the year with shows in Texas, Oklahoma, Kansas, Missouri, and Arkansas. 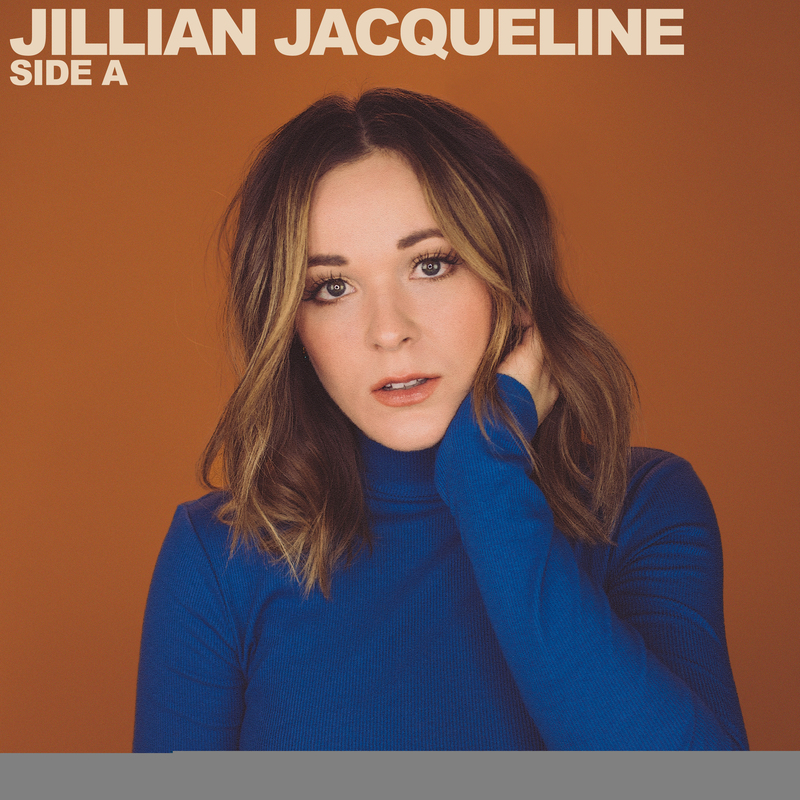 A native of Chester Springs, Pennsylvania, Jillian Jacqueline was road-mentored by Country icon Kenny Rogers and has written and recorded alongside legends like Vince Gill and Richard Marx. Combining a progressive mindset with effortlessly raw vocals and new-school, no-holds-barred storytelling, she has been invited to co-write with some of the biggest hitmakers in Music City, including Craig Wiseman, Shane McAnally, Natalie Hemby, Rodney Clawson, Chris Tompkins, Lori McKenna and more. Dubbed as a “dazzling chanteuse-wordsmith” by Rolling Stone in 2016, her unflinching first release for Big Loud Records, “Reasons,” made its debut on CMT in April 2017, and has since been streamed more than 11 million times on Spotify. Jacqueline followed up three more bold tracks – “Hate Me,” “Bleachers,” and “God Bless This Mess” – each of which has gathered more than 1 million Spotify streams, and spent the summer of 2017 touring with Billy Currington and Dwight Yoakam. Early critical acclaim continues to flood in with Jacqueline featured as one of Rolling Stone’s “10 New Country Artists You Need To Know” and praised by American Songwriter as “catchy and radio-ready as hell.” CMT named her to the coveted Next Women of Country list and also included her on the “17 for 2017” rundown of new artists to watch. For more about Jillian Jacqueline visit http://www.jillianjacqueline.com, and reach out to her on Facebook, Twitter and Instagram.